It’s quite intriguing too, to see the number of couples interested in realizing Sergey’s vision. 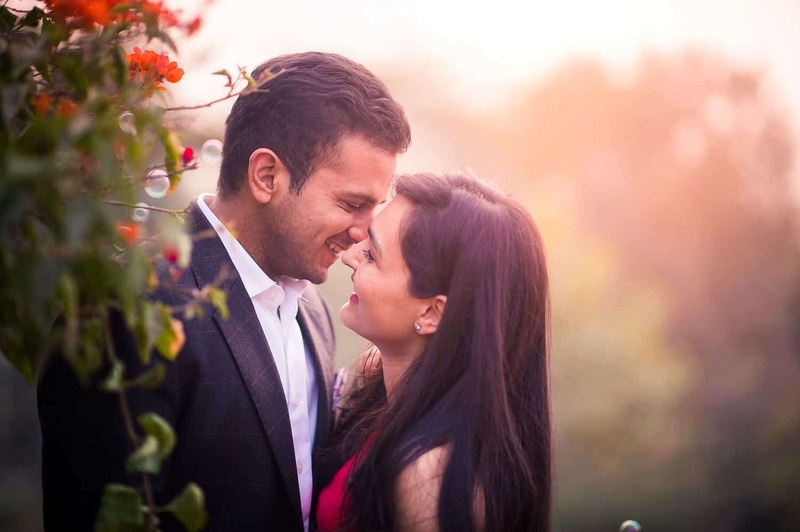 “The couples who approach me have an idea of how they would like to portray their relationship. It has got to be special and extraordinary. When I first started out, my clients would often ask me to implement their ideas, which they saw some place else. But then, I’d give them my own suggestions. They appreciated this and the fact that I didn’t blindly obey or follow their proposals. At other times, I would offer them an alternative and they’d readily agreed. They always found my suggestions better. 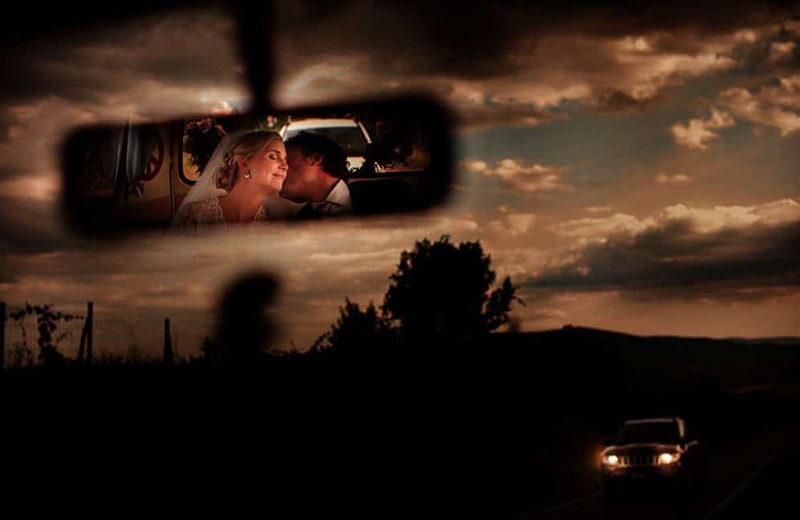 As I continued shooting through the years, it became such that the couples wouldn’t come with any preconceived ideas. They would wait to see what I had concocted,” he said. The ideas for his elaborate photographs stem from a simple practice. Sergey always surrounds himself with art. Whenever he’s travelling, he makes it a point to visit the local art galleries. 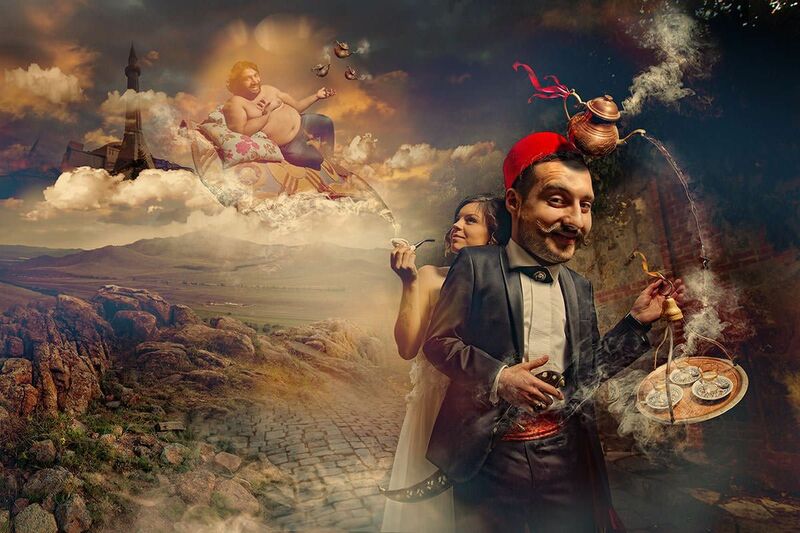 He also derives plenty of inspiration from movies (films by Quentin Tarantino), paintings (Salvador Dali, Leonardo Da Vinci, Sandro Botticelli, Rembrandt) and photographers (Annie Leibovitz, Martin Maison, Le Turk). Dali’s influence is particularly quite evident in his photographs, especially in one such image where the bride seems to be levitating and beside her is a cat suspended mid-air. 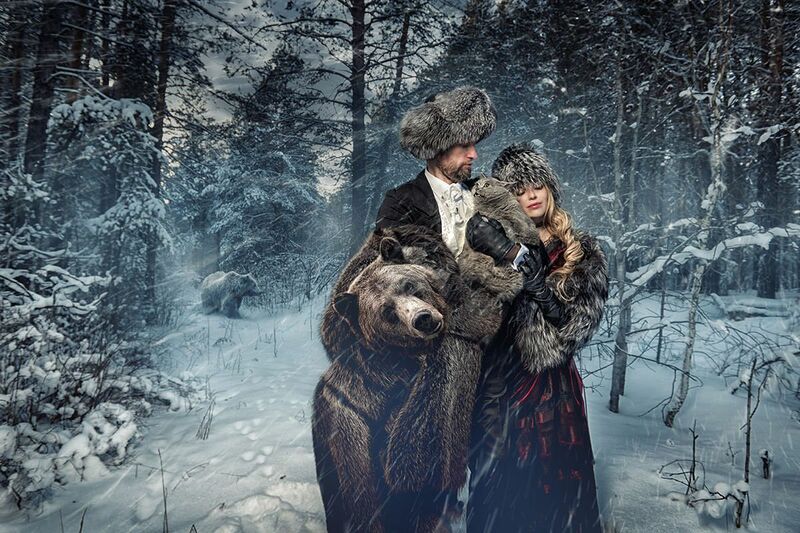 When asked how he has evolved as a photographer, Sergey responds by saying, “I don’t see myself as a photographer. I am a photo artist.” It takes a certain eye and skill to create what he does. It’s one thing to have an idea, and quite another to be able to execute it accurately. With image editing softwares providing endless possibilities, it also unfortunately brings forth a barrage of mediocre work. There’s a very fine line that separates the real from the evidently fake. But in Sergey’s visuals, even though it is known that some parts of the image have been recreated, it has been done so seamlessly that it’s quite hard to tell the two apart. He has become so good with his craft that it takes him a minimum of 5-10 minutes to shoot the photograph and another 20 minutes to edit the image. The quality and finesse in his work has won him several accolades and has made him a much sought after artist, not just by clients but photographers eager to learn from him. “How do I amaze people?” is a question that Sergey continues to ask himself. It’s a simple question and one that more wedding photographers need to be asking themselves. It’s easy to become comfortable shooting in a certain style or photographing in a way that’s conventional and popular. It could have been the same with Sergey too, especially after perfecting certain postprocessing techniques. But it’s his vision that has rendered him into an indisposable figure in the wedding industry. There are very few people who would dare to take the path that he has with this genre of photography. 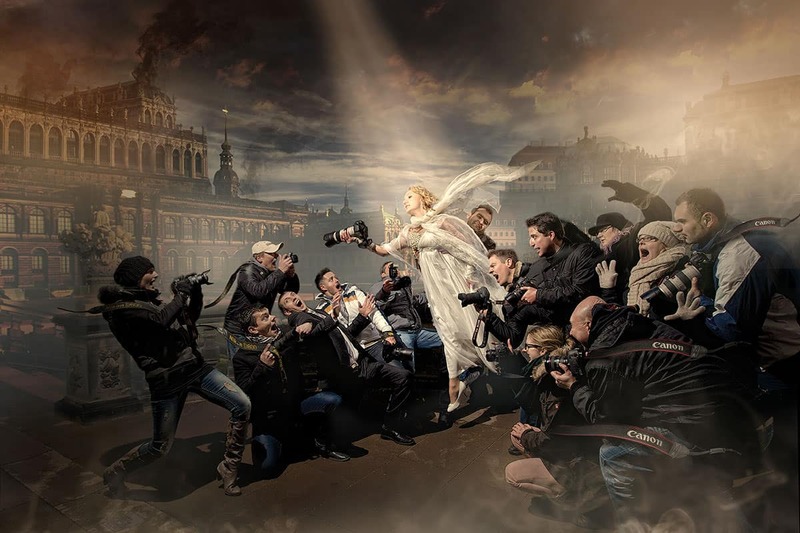 So going back to Dr. Seuss’ words, Sergey has not only opened a pathway for a different kind of wedding photography, he has also blurred the very definition of impossible, and has allowed his clients and viewers to conjure and execute outlandish and wondrous bits from their imagination. 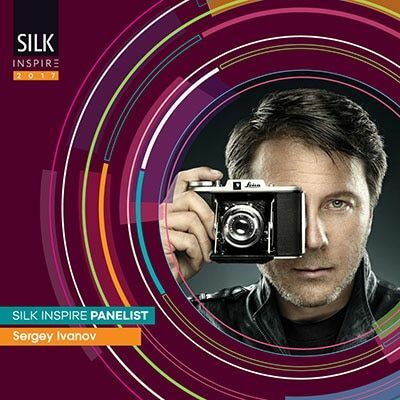 Sergey Ivanov is one of the panelists of SILK INSPIRE 2017 festival, and will be in India on October 6th-10th to give a seminar, as well as a two-day master class. He will be available to meet photographers. Get your ticket for India’s first Wedding Photography festival, and come meet him in Goa this October.